How to Void a Check? A check is a physical document and contract that acts like a promissory note from the payor to the payee. This document lists the amount to be paid both in numerical and written values. A check is dated and then signed by the payor. The money to be paid is drawn from a bank account, which is also defined in the check. The check allows two or more parties to make a monetary transaction without exchanging paper currency. Refer to the image below displaying all the sections of a check. Cash and Debit or Credit cards are the most common accepted payments nowadays. The reason why checks are often not accepted is because of the risks associated with the use of checks. Checks are sometimes returned because of insufficient funds or closed bank accounts. For sellers without a rigid process of verifying payment and identity, there will always be a risk of not getting paid, especially if the customer already left and the seller doesn’t have any other method of charging this customer. For customers, checks can represent issues too. If a check is returned, the customer might be charged a fee from the bank. This customer didn’t intentionally avoid paying, it could be a mistake with timing and funds availability. For example, a customer purchases goods on January 1st by paying with a check for $20.00. The customer ensured there was at least $20.00 in his bank account at the time of the purchase. The seller doesn’t immediately go to a bank to retrieve the cash. On January 3rd, the seller goes to the bank to retrieve his cash, but the customer has made another purchase elsewhere for $5.00, thus his new balance is only $15.00. This is an example of insufficient funds. The bank must return the check, the seller goes without any payment and the customer gets charged a fee. A voided check is a check that has the word “VOID” written across the front. A check can be voided in any state: a blank check, a partially written check, or a fully written check. The word “VOID” indicates that the check should not be used or accepted for payment. If you want to disable a check from being cashed for whatever reason, you simply write “VOID” on the face of check. In the case of a blank or a partially written check, voiding the check prevents anyone from fraudulently cashing an unauthorized amount. A voided check can be used to provide banking information to another party in order set an electronic link to the bank account. Although you can no longer use the check for payment, the information on the check is still valid. 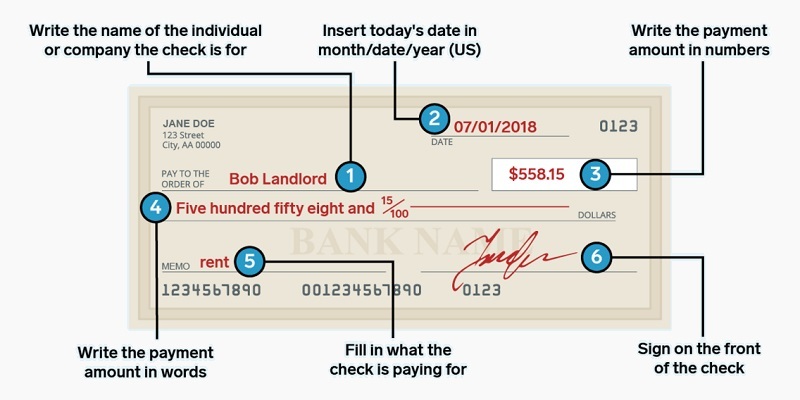 A check contains details that an entity: your name and address, bank name, account number, routing number, and check number. To ensure no one gets a blank check and fraudulently fills it out to get him/herself an amount of money, the payor voids the check. An example of a situation in which this is required is when an employer wants to directly deposit your payment to your account. Because they can find all the information needed to create this link on a check, they ask you to provide them with a voided check. Another example is when you are setting recurring automatic payments. The vendor might also need you to sign an agreement that authorizes these automatic recurring payments, but it saves you from having to write a check every month and it saves the vendor from potentially getting delays from human error. A third instance in which a person might void a check is if there is a mistake made while filling out the check. You want to ensure you void the check, even if you are disposing of this check and not giving it to anyone. Steps to Void a Check? Third, ensure you keep record in your check book of the number of the check that you voided. If you are sending the voided check to setup a direct deposit, ensure you keep a copy of the voided check for your records. 1. What are some of the common reasons to void a check? 2. How do you void a check? 3. I don’t need to keep a record of the voided check as it will automatically be reflected in my bank account.